Our key ingredient is fresh, healthy, whole sheep’s milk which we have been using for over 30 years. Sheep’s milk is exceptionally high in solids –heading towards single cream - which means, uniquely, that we make our ice-cream using just the full fat milk. The result is proper smooth, creamy dairy ice cream, but with half the fat. We made our first ice cream back in 1987, using milk produced on our own farm on the Herefordshire/Wales border. From the beginning we made a conscious decision not to sell to the trade, but to take our ice-cream direct to the consumer – in a cornet. It’s a philosophy we have stuck with and have never regretted. We retain control of our product all the way along the line; we have great flexibility in terms of what flavours we make; we don’t spend time and money on packaging; and we are continually in touch with the people who matter most, our customers. 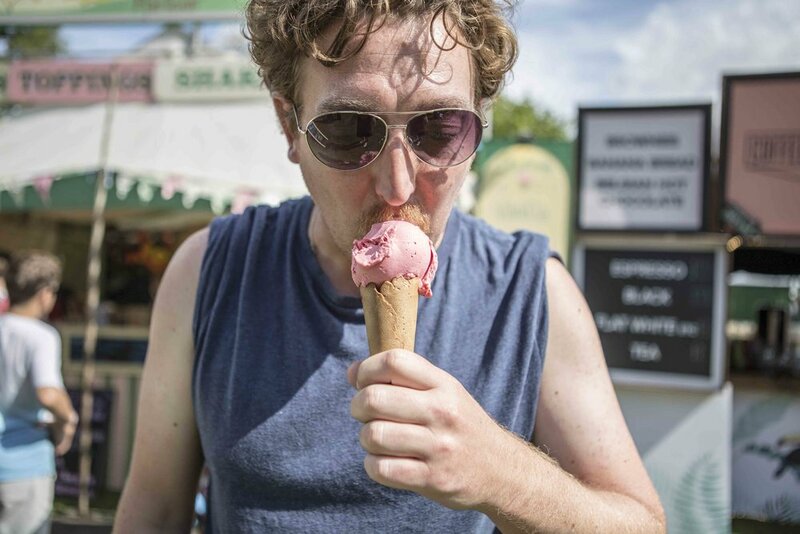 You can find our ice cream throughout the summer at Shows and Festivals across the country or you can come to our Ice Cream Parlour in Hay-on-Wye which is open 7 days a week. With our range of units we can cater for anything from a wedding or private party up to 20,000 capacity public event. With its 16 flavour cabinet, it's a great place to explore the full range of Shepherds Ice Cream. 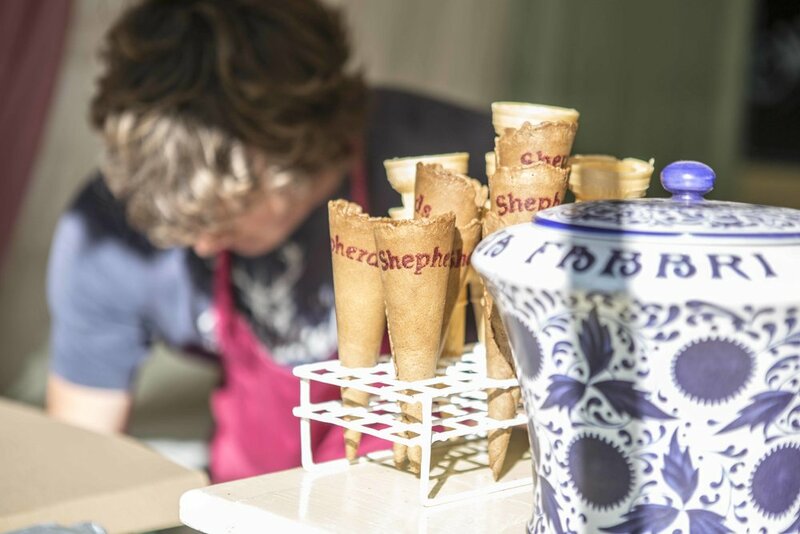 Turnover is fast, the ice cream is at its freshest and flavours change from day to day. We particularly like to play with fresh fruits when in season, like blood oranges or gooseberries, and we love to use fresh spices to make flavours like Lebanese Coffee and Cinnamon Chai. Almost any day you will find something to surprise you.